If you have lots of stuff to put into the trunk of your hatchback car while proceeding for a weekend trip or vacation trip then you can ease the capacity of your trunk by purchasing a good rooftop cargo box. It will not only provide you additional storage space but also make it comfortable for the passengers to enjoy the trip. 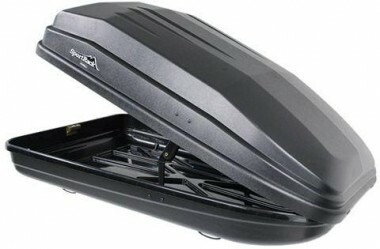 Yakima RocketBox Pro 12 Cargo Box can be right choice for you in this respect. The roof box reviews provided in this write-up will help you to know more in this regard. What makes a rooftop cargo box the best? Though you can find wide variety of cargo box for sale in the market but to find the best you will have to consider certain things like type and style of the box, volume of the box, frequency to use, compatibility with your vehicle and compatible to all types of roads and wind conditions. All these things depend on the requirements of each user. RocketBox Pro 12 Cargo Box by Yakima fulfils all these requirements as it can be used easily on small vehicles as its aerodynamic design reduced the need of dragging it with its forward mounting hardware. It is perfect for SUVs, hatchbacks and other small cars. The quick-dial mounting hardware provided with it sets compatibility with all types of small cars. It is backed by limited lifetime warranty to ensure its quality and reduce your risk for buying it. Yakima is a company that believes the when shared outdoor trips can be made more fun and joyous. According to them outdoors are about telling stories, sharing memories that remain long after the end of the trip and enjoying jokes instead of experiencing adventure only They are manufacturing secure and safe racks for your stuff to make more room for you to sit on in the car since last 30 years. Opening on both sides: You can easily access your gear due to its dual side opening. 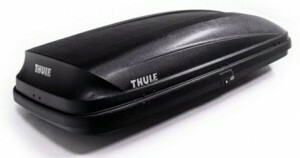 In order to use it more easily it is provided with a push button to pop open this cargo box. Aerodynamic design: The aerodynamic design of this made in USA Yakima cargo box allows it to get attached to the rack on the top of your car to make the interior of your car more comfortable and spacious. Compatibility: It is compatible to the Whispbar racks produced by Yakima with square and round bars and racks of several other companies but you will have to purchase a rack separately. 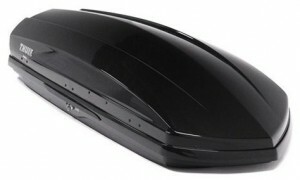 Recycled material: Up to 80% of this roof cargo box is made from recycled ABS plastic. It has levered and articulated arms to support its lid opening on its side for loading the stuff easily. Versatile design: The design of this black coloured Yakima RocketBox is most versatile as it can fit into wide crossbar spread as well as narrow crossbar spread with equal ease due to its flat bottom. Simple assembly: you need no tool to assemble this cargo box due to Rapid-fire assembly used in RocketBox Pro 12 roof box which makes easy to assemble it on the top of your car rack. After reading the review of Yakima RocketBox Pro 12 Cargo Box provided in this write-up it can be concluded easily that it is the best cargo box for small cars as it provides enough space for passenger in the interior of the car by adjusting most of their gear in it Though some users had some problems but they are based on personal experiences and cannot be generalised while reviewing a product.